A bit of sun, and scarecrow building, got us out in the garden for a few hours today. It’s a mess if I’m honest. Mostly because we decided against cutting back many of the border plants for the winter, thinking their stems would look pretty on frosty mornings. We’ve only had a couple of hard frosts so far, but lots of heavy rain. So we now have a sodden mass of tangled stalks. 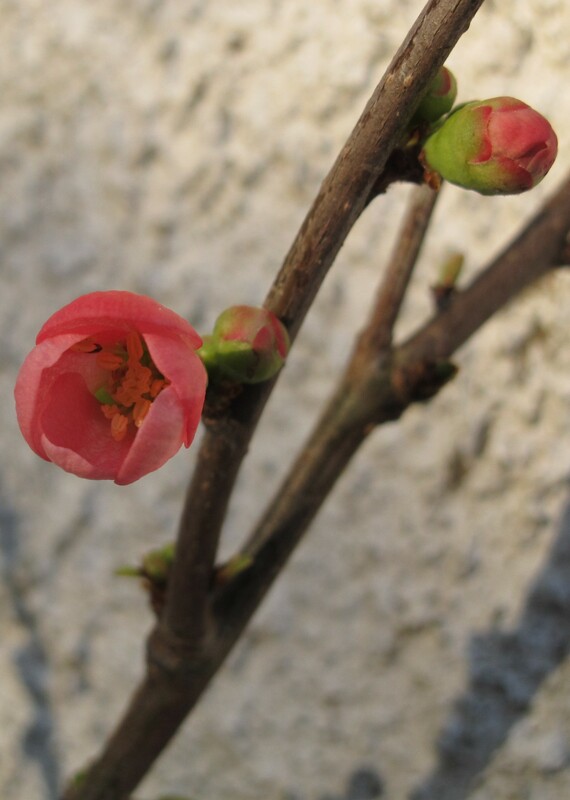 We planted a couple of quince alongside the garage last year. It’s a gloomy spot and we kept forgetting to water them over the summer. They survived our neglect, but now most of the blossoms are getting munched by some pest or other. This is one of the few that has escaped. 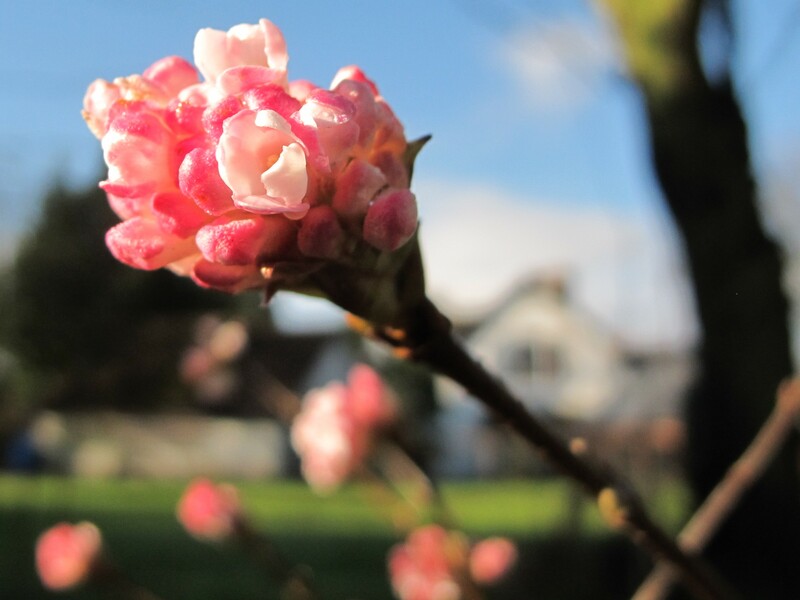 We have lots of mature viburnum around the garden, so I was surprised at first when Steve brought this one home last year. But with its flushed pink flowers, it will be one of our winter highlights once it’s established. 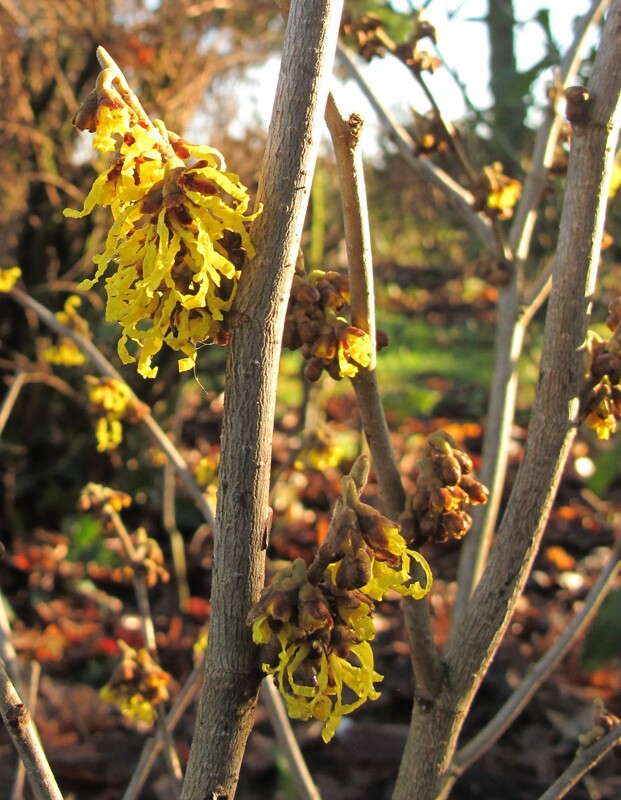 Witch hazel is a fantastic winter-flowering shrub and we want to make space for more in the garden. This one is Arnold Promise – it was a Christmas present for Steve, so has only been planted a couple of weeks. 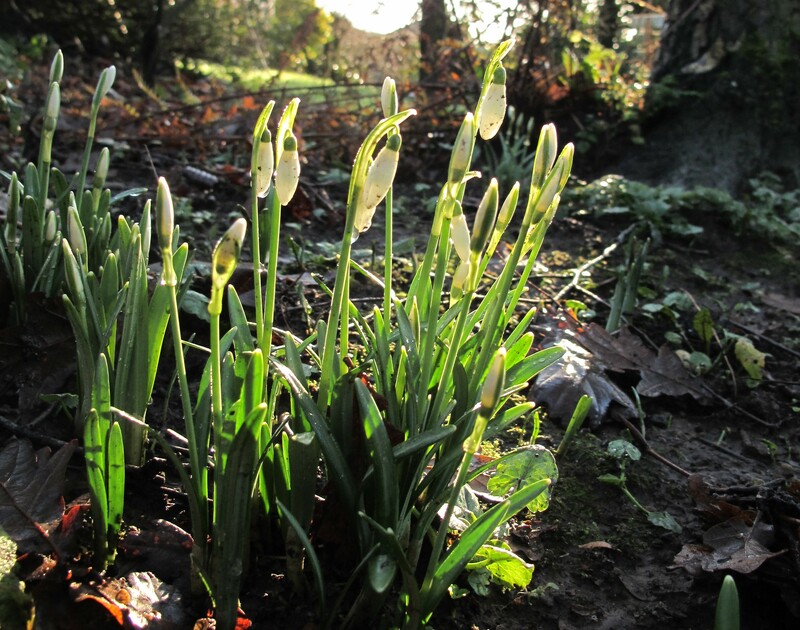 One of the loveliest things we inherited with the garden was the spring bulbs. I have a particular soft-spot for the snowdrops, which were just coming into flower when we moved in on a freezing cold January day two years ago.